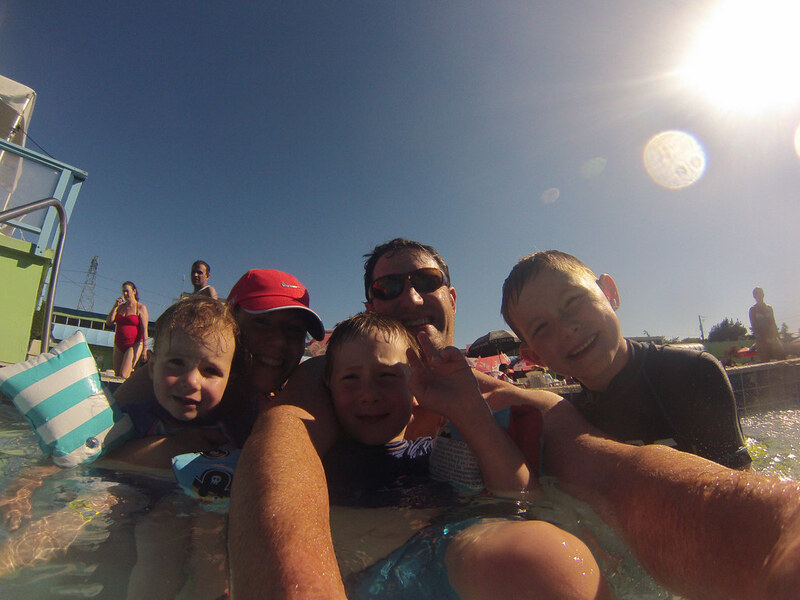 This was the third year in a row that we went to Splashdown Park in Tsawwassen. They let you use multiple coupons from the entertainment book so we always get a great deal (this is the main reason we go there)! This year we decided to go during the twilight hours and it was a great decision. Last year, we went first thing in the morning and there were so many daycamps and the water/air was so cold. Twilight goes from 4-8pm and the benefits are; shorter (if any!) line ups, warmer water/air than early morning if it's a sunny day, and cheaper passes. I think there were so few people there because it's mostly young families at this waterpark and many of them leave before dinner time. I would HIGHLY recommend going during a warm week night. We packed a picnic dinner and at the end of the night we just changed the kids straight into their pj's. 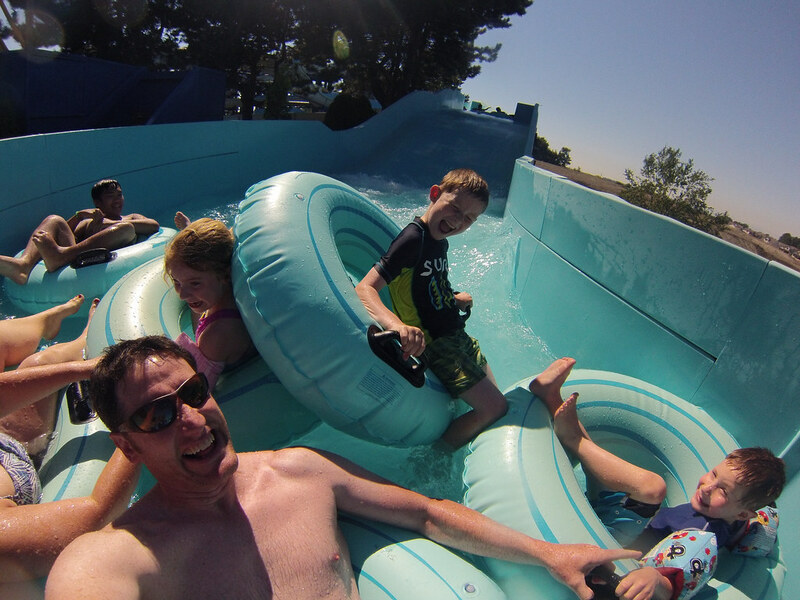 I think we will go to these waterslides for a couple more years but then the kids will likely outgrow them. 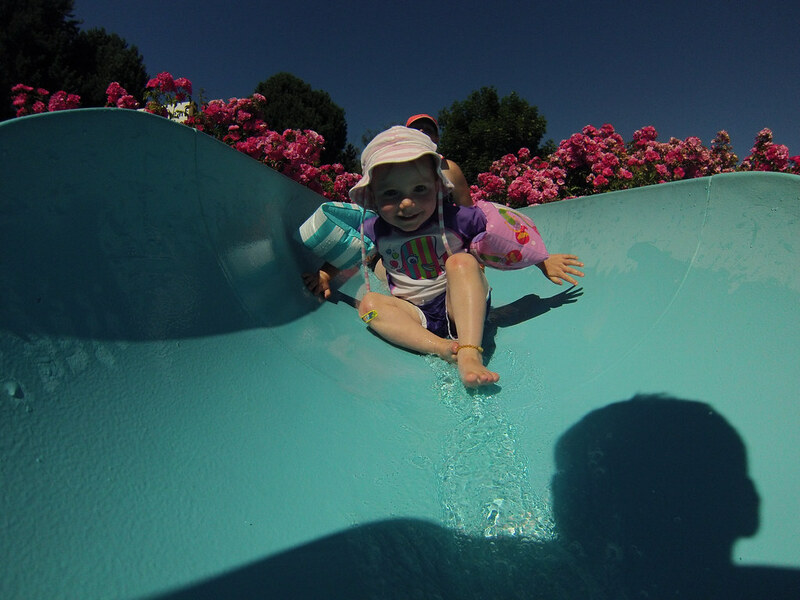 Kai and Koen can easily go on all of the slides except Koen is not tall enough for the Black Hole. My sister Maria, her husband Kris, and their two oldest girls were there too. This means that Gary and I got to leave the kids for 10 minutes and go ride a double tube down the Black Hole (it's a totally dark tube ride) which was fun. Nya loved all of the waterslides (she just went on my lap on the bigger ones) and spent a lot of time floating around in the the hot tub with water wings. Kai and Koen loved the tube ride and did it at least 10 times each. The kids had a blast and we'll definitely return again next year! It was the perfect way to spend a 30C afternoon and evening. Hope you're finding ways to stay cool!